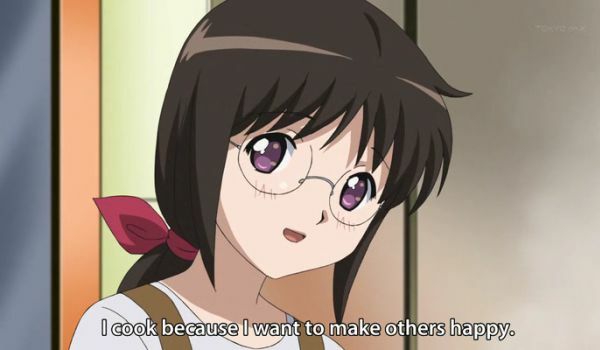 “I cook because I want to make others happy” says this ideal girl from a Japanese cartoon. I suppose this is more or less why I write as well, it certainly does not pay my bills. Â But do people actually become happy when you do something for them, or is it the one who does something for others who becomes happy? Â Both? Depends? This is not a completely theoretical question for me. I am actually quite happy most of the time, pretty much except when I am sick and getting sicker, or when I have just made a mistake. On the other hand there are many unhappy people in the world, and a few of them are my friends. There are probably many more who are not exactly unhappy, certainly not to the point of complaining about it, but who feel empty and dissatisfied or frequently experience boredom in their everyday life. Could I transfer some happiness to those who need it more? This seems easy enough if you believe that happiness is a matter of money. Simply give them money, and they will be happier than before they got it. Certainly this seems to be the assumption of most of the world’s governments, and it is not entirely pulled out of Marx’ behind. At a low level of income, where you cannot afford life’s necessities, money makes a huge difference. So if some people have plenty of money and others are starving, it makes a certain sense to steal from the rich and give to the poor, at least if you can somehow convince the rich to continue collecting riches that you can steal. This is a pretty big part of the “art of politics” in our time, but the time for this is probably about to end, because people are gradually realizing that happiness is not quite that simple. Others look at what kind of people are happy. They find that those who do something for others, without getting paid for it, tend to be radically more happy than those who don’t. Again, this is rather old news: “It is more blessed to give than to receive”, as was said almost 2000 year ago. 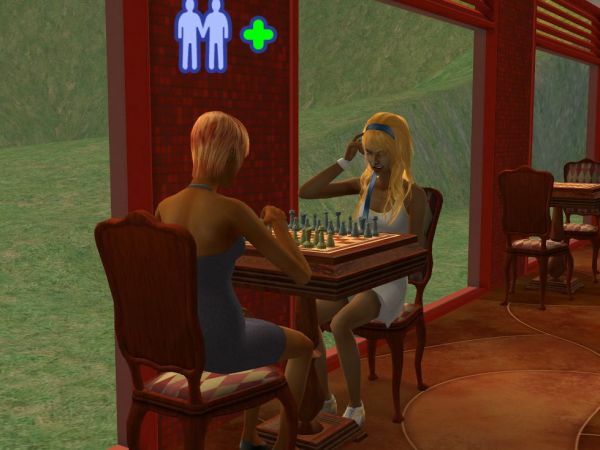 But there is also the possibility that happy people are more likely to volunteer than their depressed brethren, and again the only way to find out for sure is to try it for yourself and see if you feel happier. So, it would seem that happiness is a bit like stamina: There may be a genetic component, but if you are even vaguely healthy, you can improve it by doing certain things that may seem unpleasant at first. Happiness exercises, in this case. But if that is so, we cannot send other people our happiness, or at least not to a great extent. They will have to grow their own happiness by walking the path that leads to it. The truth is probably that you can do both: Give a man a fish, and he has food for the day. Teach a man to fish, and he has food for a lifetime. EDIT to add: Â Since some may not be familiar with the research, I will point you to this little BBC article on happiness which drops some names that are useful for your further Googling. In particular I am thinking of Professor Oswald on the economy of happiness (he assigns price tags to various things not buyable, so as to compare them) and Martin Seligman on how to live a happy life individually.